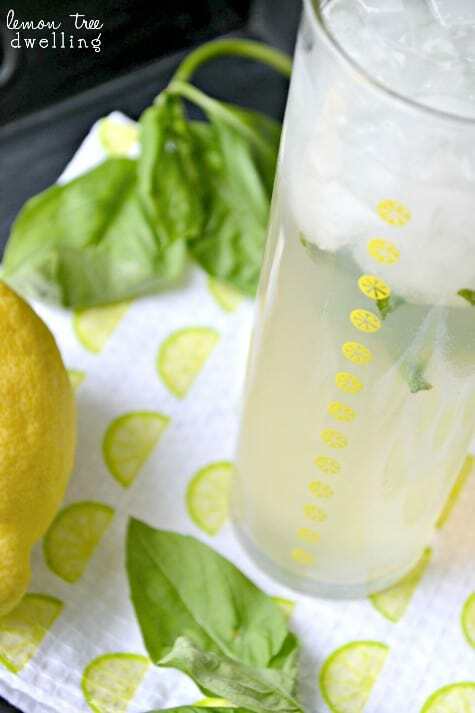 A simply delicious spritzer made with champagne, lemonade, and basil simple syrup. 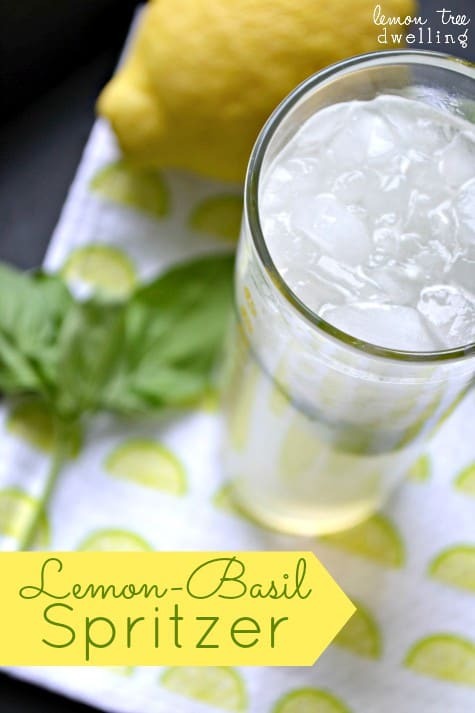 Light, refreshing, and perfect for a hot summer day! I read recently that 3 pm on Wednesdays is the time when women look most tired. And I thought to myself NO KIDDING! It’s right smack dab in the middle of the week….too far after last weekend to feel any of its benefits, too far away from the coming weekend to even be excited. We are bogged down in homework and housework and weekday craziness….and the end feels nowhere in sight! Yep, around here,Wednesdays always feel like a feat! This drink was inspired by a drink I had at a restaurant called Houlihan’s a while back…. (back in the days when I actually saw my friends, that is…!) We would meet there periodically for happy hour, and we would sample the different fun drinks on their menu. One of them (my favorite) was Strawberry Basil Lemonade. It was SO good, and so different from anything I had ever had! From that point forward, I was SOLD. Sad to say, Houlihan’s is no longer around. But lucky for me, I discovered that making basil syrup is incredibly easy….especially when you have your own basil plant! I make it often and I share the recipe with everyone I know. When you find a good thing, you can’t keep it to yourself, right? 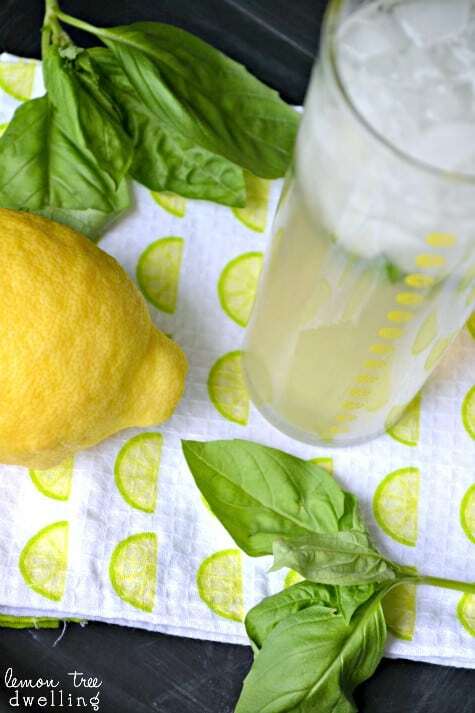 Unless, of course, we’re talking about one of these Lemon-Basil Spritzers around 3 pm on Wednesday….! 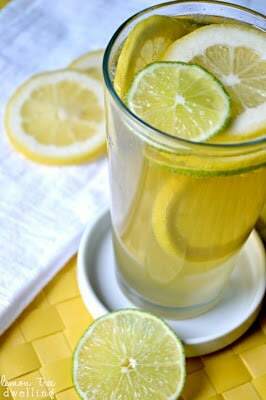 Add 1 c. champagne, 1/2 c. lemonade, and 2 Tbsp. basil simple syrup and mix. Add additional basil syrup, if desired. Bring water and sugar to a boil in a small saucepan. Stir in fresh basil leaves; remove from heat, and cool. Be sure to stop by and check out these other delicious summer drinks! Ahhhh, Houlihans . . . too bad we put them out of business by cashing in on their happy hour. See you at Betty’s at 3! Oh man I love basil combined with fruit, such a great combination! This is definitely the perfect summer beverage. Feel free to stop by my link party and share some of your fantastic recipes. That basil syrup sounds wonderful! 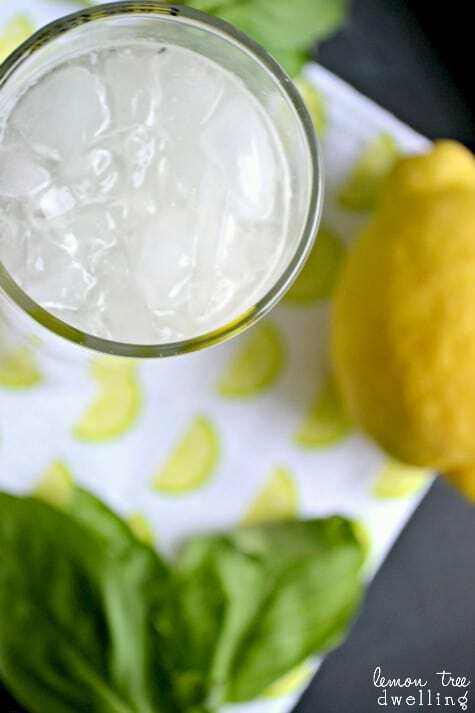 This is THE perfect summer beverage! 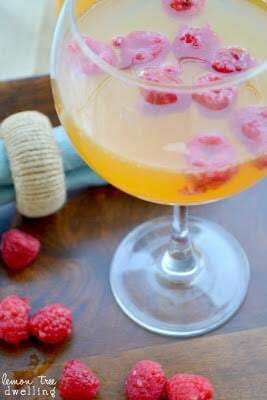 It is 90 here today, and I would like nothing more than to sit in the shade and sip SEVERAL of these! Genius Tammy! This just may be 2013’s Mojito! 🙂 I love the idea of basil in my cocktail! Now if we could just get the temp above 60 here I’d be a happy girl! This drink would be a fabulous pick me up!! Awesome! This sounds really refreshing! I love the NA version! Yum, that sounds delicious! 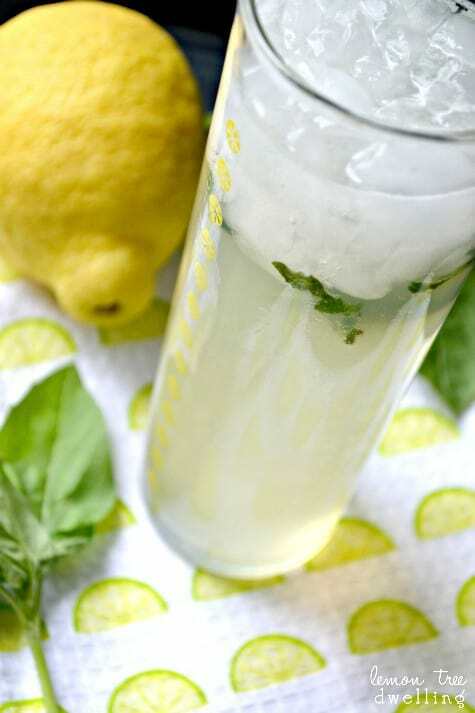 And it looks like it’s really light and refreshing too…perfect! 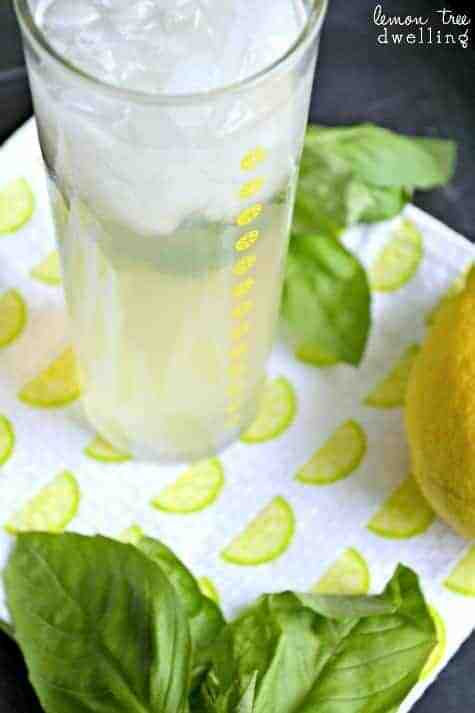 I’ve included this one as well in my roundup of 25 Refreshing Summer Cocktails!